﻿ Dream Mountain Pension, Danyang-gun | FROM $64 - SAVE ON AGODA! Have a question for Dream Mountain Pension? 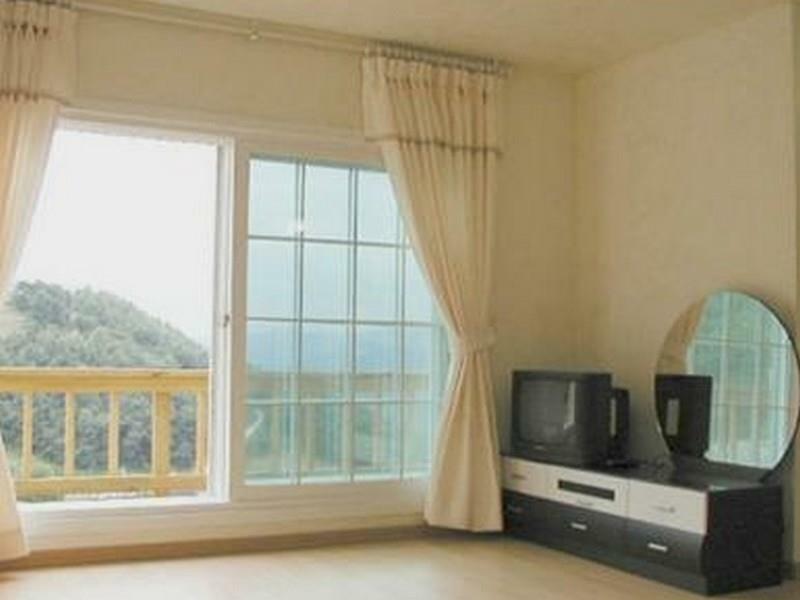 For travelers who want to take in the sights and sounds of Danyang-gun, Dream Mountain Pension is the perfect choice. The hotel lies from the city center and provides accessibility to important town facilities. With its convenient location, the hotel offers easy access to the city's must-see destinations. At Dream Mountain Pension, every effort is made to make guests feel comfortable. To do so, the hotel provides the best in services and amenities. For the comfort and convenience of guests, the hotel offers free Wi-Fi in all rooms, express check-in/check-out, luggage storage, Wi-Fi in public areas, valet parking. The hotel features 33 beautifully appointed guest rooms, many of which include air conditioning, television, kitchenette, shower, hair dryer. The hotel offers wonderful recreational facilities such as outdoor pool to make your stay truly unforgettable. Dream Mountain Pension is your one-stop destination for quality hotel accommodations in Danyang-gun.